A user group is a simple collection of users. They can be managed in the Settings tab. Groups are used to manage access permissions. You can share reports and data connections with one or multiple user groups to control who has access to which content. Groups can be used to manage recipients lists used in scheduled reports. On the report form, you can choose to add individual users as email recipients or a group of users. 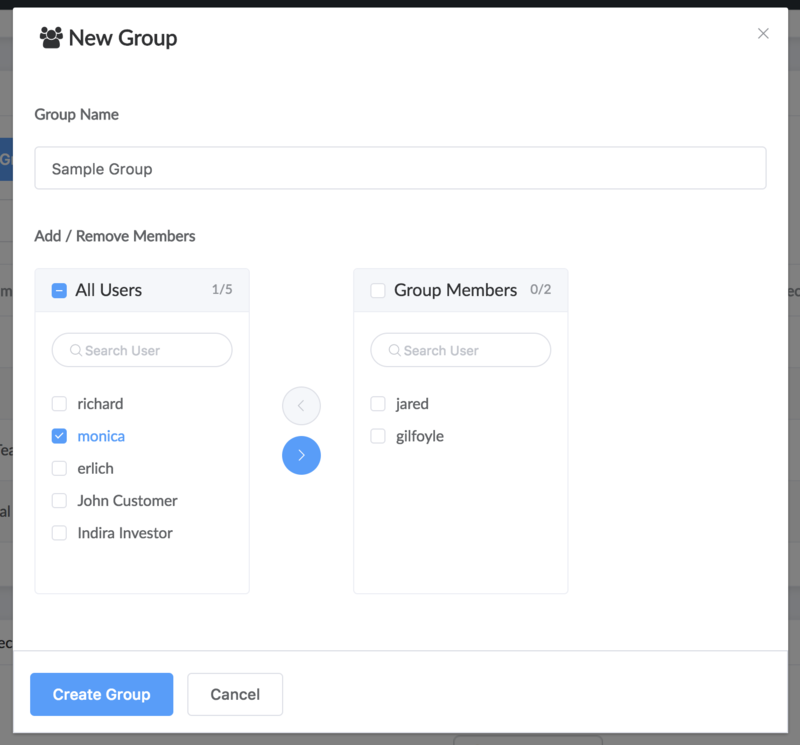 For example, you might have a customer that wants a monthly report delivered to 5 people in their company, you'd just create a group for the customer and can then easily manage the recipients for that customer through the group.